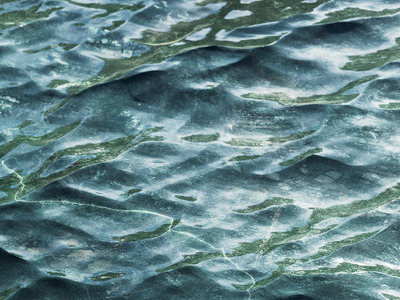 This pool might look like the perfect relief on a hot summer day, but think twice before diving in. It’s not really a pool, and that’s not really water. 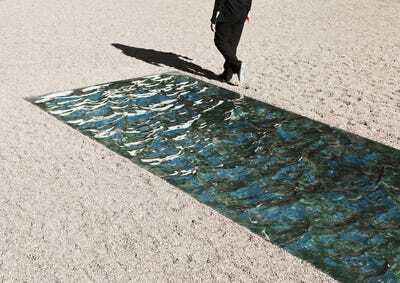 It’s a piece of art in France made out of marble. The polished green stone looks uncannily like rippling water, so you’d be forgiven for thinking you’re about to cool off. 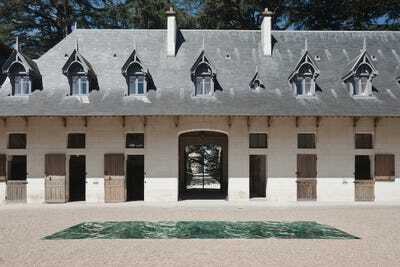 The installation is the work of French designer Mathieu Lehanneur, who made the piece for the Domaine de Chaumont-sur-Loire Centre D'Arts et de Nature, located just south of Paris. 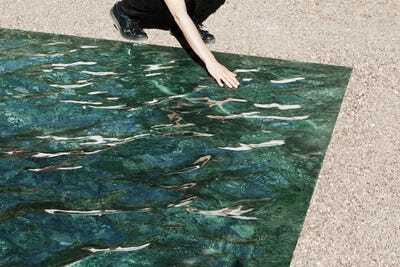 The polished green marble was carved using a 3D software, giving it the appearance of a body of water that's just been 'gently ruffled by the wind,' according to a press release. 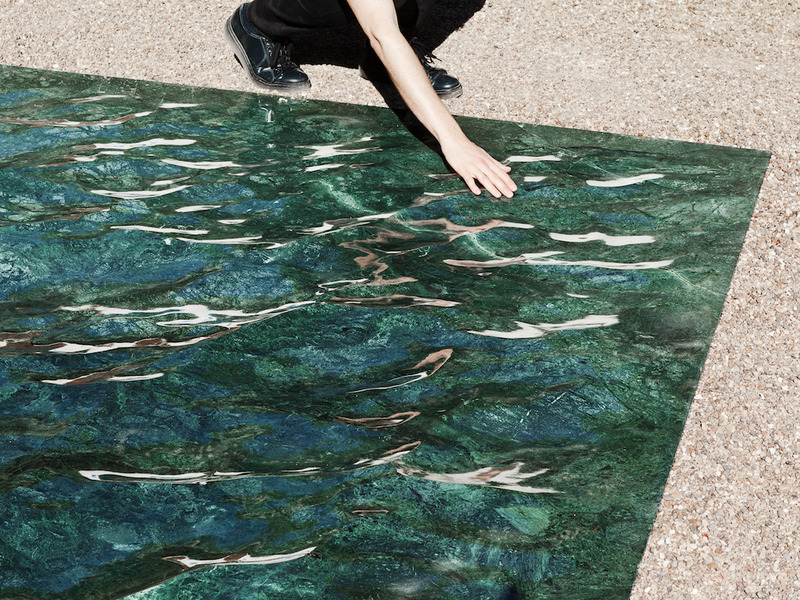 It's part of Lehanneur's ongoing 'Liquid Marble' series. 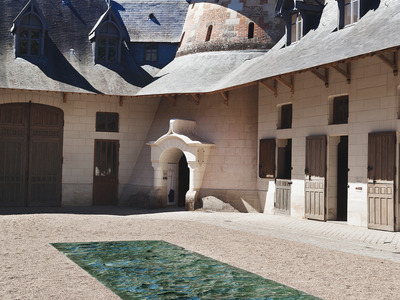 This particular installation is called 'Petite Loire,' after the nearby river that inspired the artist. The work will be on display until November 2nd.